UAE consumers will be among the first in the world to be offered the Nokia N97, the Finnish company’s new top-of-the-line handset. Nokia hopes the N97 will become a direct competitor to the Apple iPhone, with the device including a large touch screen and deep integration with the internet. Since the launch of the iPhone in 2007, each of the world’s major mobile manufacturers have announced or launched similar devices. 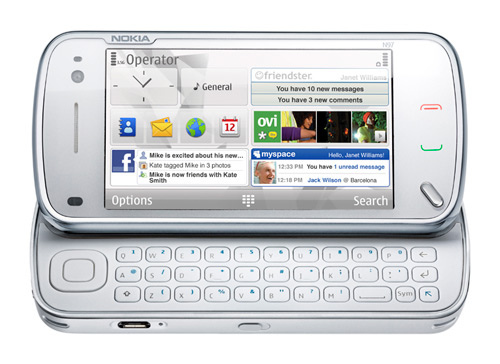 The release of the N97 comes as mobile handset sales are falling at the fastest rate ever recorded. Sales of devices in the first quarter of this year were down 15.8 per cent from the same quarter last year, according to the research firm Strategy Analytics. The slowdown is being felt most strongly in the middle of the market, where consumers are delaying the purchase of new phones, and choosing instead to keep their older handsets for longer.